Spain's Prime Minister Pedro Sanchez speaks during the Party of European Socialists annual meeting in Lisbon, Portugal, December 8, 2018. Spanish Prime Minister Pedro Sanchez will on Dec. 21 decree a 22 percent rise in the country’s minimum wage, the biggest in four decades. Spain's far-right Vox party won 12 out of 109 seats in a regional election in Andalusia on Dec. 2. It could end up holding the balance of power after the first electoral success for the far-right since the country's return to democracy in the late 1970s. The ruling socialists came first with 33 seats out of 109, but failed to win outright in a region that they have historically dominated. 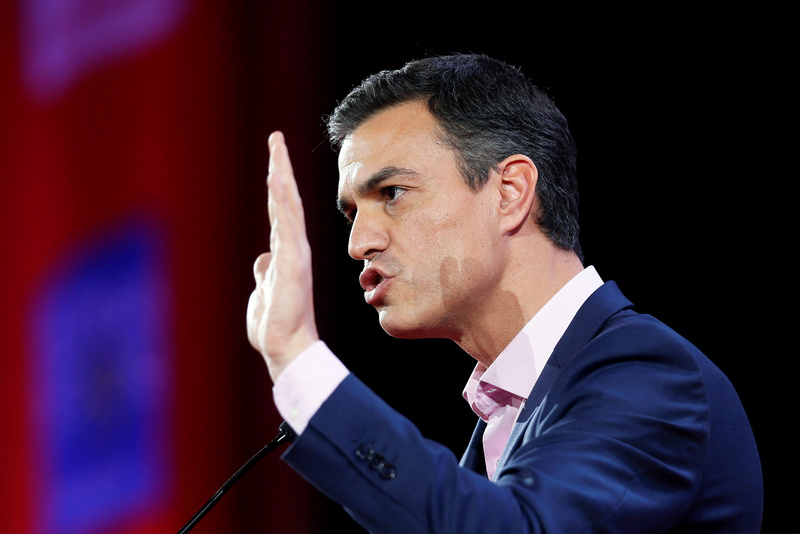 Socialist Prime Minister Pedro Sanchez's minority government has struggled to gain support to pass any meaningful laws since taking control in June.